Are you looking for a way to generate some much-needed funds for your minor hockey team? Maybe your non-profit is searching for a way to spread awareness of your cause and earn some money at the same time? Not-for-profits across Canada have exceeded their fundraising goals with silent auctions, we should know, we’ve helped many of them. School events, sports teams, community groups and various other charities and non-profits have hosted successful silent auctions to raise funds and educate people about their causes. A silent auction can be a stand-alone event, or it can be a part of a larger function such as a conference, an awards event, or even a black-tie dinner. The goal is about giving people a good time, the best silent auctions achieve this while earning revenue at the same time. Successful silent auctions take a lot of time and experience to plan, market and execute. Without a strong strategy, your charity auction can quickly go from being profitable event to becoming a bust and even costing your group money. With so many moving pieces a professional silent auction company can make this project less daunting with a well-planned and executed strategy. The format of a silent auction will vary slightly from auction to auction, but most of the core elements will remain consistent regardless of the event. During the auction, items that are being auctioned off will be displayed on tables throughout the room. There will be a bid-sheet in front of each item. Formats will vary but a typical bid-sheet will contain a brief description of the item, its estimated value, a minimum bid and an area for attendees to write down their name, contact information and bid amount. The silent auction provides an excellent opportunity for attendees to take their time and properly inspect each of the items for auction. Bid-sheets are an excellent way to generate both excitement and competition amongst auction attendees. An experienced auctioneer will increase engagement by carefully designing a floor plan that highlights each of the items in the silent auction. The auction event ends by organizers collecting bid-sheets at a pre-determined end-time and the winning bids are announced – with the lucky winners paying for and taking home their items. Even the best-planned charity auction cannot succeed without the help of a strong team of volunteers. We’ve worked with charities and non-profits from coast to coast (including many in the Toronto region) and we’ve worked with some passionate and hard-working volunteers. There are many hats to be worn during a charity auction such as inventory management, auction set-up and take-down, marketing, locating auction items, handling money, and dozens of other responsibilities. We’ll work with your team of staff and volunteers and give them the training they need to excel in their respective roles during your auction event. 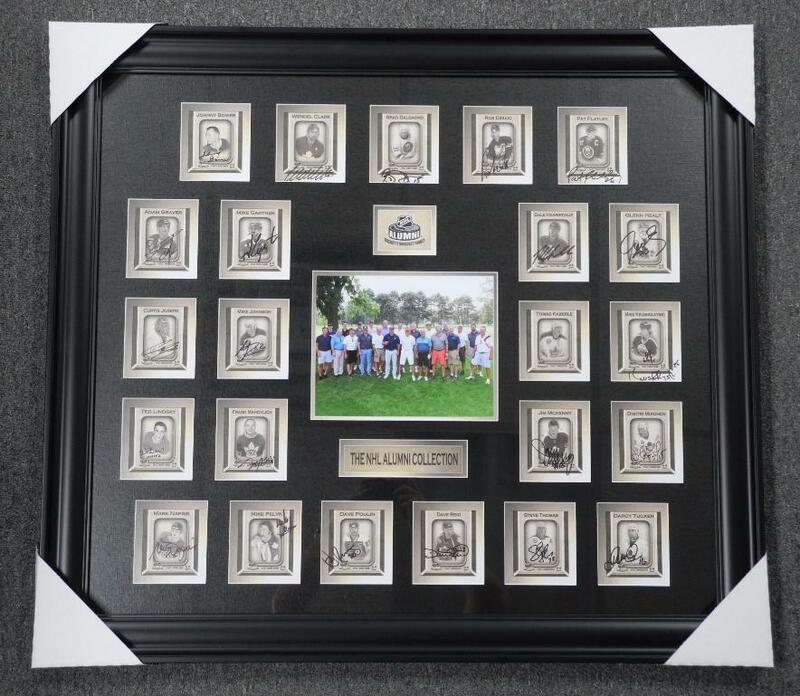 Every silent auction is unique but having a great selection of inventory is the best way to make the event a success. Sourcing items that your attendees will be excited to bid on can be challenging, especially during your first silent auction event. Over the years we’ve found success by offering gift certificates to local restaurants, bottles of nice wine and liquor, hotel stays, tickets to an upcoming entertainment or sporting event, autographed memorabilia (especially effective during a hockey fundraiser), gift packages and even vacations packages. An experienced silent auction professional will help source items and organize them in a way that increases both foot traffic and interest. It’s important to really understand your audience and hand pick auction items that appeal to their unique style, tastes and budgets. We are now living in a digital world and the Internet has transformed many industries, including charity auctions. Along with holding a live silent auction event, many of our clients have found additional success by including an online bidding component to their auctions. Listing auction items in advance with detailed images and descriptions can help generate more engagement and cause more people to register for both live and online silent auction events. Hosting your auction online opens the door to a national audience and offers some exciting online marketing opportunities. A well-designed silent auction will only benefit from having an online component to it. At AFGI we have created a turn-key solution for your online auction needs, learn more by visiting http://www.afgi.ca/silent-auction-online-mobile-bidding/. Our team of experienced auctioneers at AFGI will take your Toronto silent auction event to the next level by leveraging our years of experience marketing auction events, ensuring the right items are included in the event, creating an exciting silent auction powered by experience and organization. We work hard to ensure your guests walk away from your auction with a feeling of excitement, generosity, and value. Over the years we’ve run some of the Toronto region’s most successful silent charity auctions and we’ll bring this experience to your next fundraising event. At AFGI, your success is our success too, contact us to learn more about how we can generate more funds for your cause with a well-planned silent auction event. Silent Auctions have been a source of excitement for centuries. The feeling of bidding against others for that rare item that you’ve always wanted is timeless. Today’s advances in Internet and mobile technology have taken this excitement to the next level. We’ve been lucky enough to have worked on some really exciting auction events throughout our 40 years providing professional auction services for countless fundraising events for a wide range of groups. Not only have been able to help our clients generate some much needed funds for their causes, but we’ve been lucky enough to have shared in some very memorable experiences. As great as the past has been, we’re especially excited about the future of silent auctions and we’re proud of the reputation we’ve earned as being on the innovators in the online silent auction industry. Our focus on technology over the last few years has created some exciting opportunities for us and the the charities we work with. We are now able to provide full online silent auction services, allowing charities to attract bidders from all corners of the world. Our mobile application allows bidders to conveniently view and bid on items from their mobile devices. This has provided charities an opportunity to increase exposure and revenue for their silent auction fundraisers. We’re a family-run auction company, AFGI is staffed by professionally trained and highly skilled auctioneers. This experience and training in hosting successful auctions has allowed us to bring a high-level of auction management for each of the events we work on. Our goal is to make your charity silent an entertaining, fun and lucrative event that people will remember for years to come. We’ll manage all elements of your charity’s silent auction planning. Our team will ensure your auction runs smooth by managing the auction’s floor plan, scheduling, procuring donations for the auction and various other important jobs. Our team will take care of everything needed for the set up and tear down of your auction. We can supply a wide assortment of products to auction off at your event. Our team will work with your group to understand the demographics of your audience and we’ll locate auction items suited to their tastes and budgets. All auction displays will look attractive and professional. Each of our professional auctioneers will operate in a friendly and knowledgeable fashion. Our team will ensure that all bid sheets are properly displayed. Wireless Point of Sale devices will allow your audience to conveniently pay for their items. Get quick payments with cheques being issues with two-to-three days following the auction. “Just wanted to say thank you again for helping us last week for our event. Having you and your team there really elevated the entire evening. I wanted to let you know that over the course of the evening we raised $18,500 in support of Ronald McDonald House Charities Canada and the James Lee Foundation,” – Sybil (Vancouver). Your charity will receive 100 percent of the proceeds generated from your group’s donated items. We will guarantee you a percentage of the final highest bid price that we procure for your silent auction. Our tremendous buying power allows us to maintain very healthy margins in the items we bring to your silent auction event. This allows us the ability to contribute a very generous share to your charity’s cause. There are no external fees for us locating and auctioning inventory for your auction. A silent auction is an excellent way to share your charity’s message. Our goal is create an atmosphere that generates excitement and generosity for your cause. From the moment people walk into the door to the moment they leave, your audience will remain engagement with exciting silent auction items. Maintaining the right energy throughout your auction will help your group raise funds, that’s why it’s really important to ensure all details are taken care of and everything runs smoothly during your event. “Thank you very much for offering such an exciting silent and live auction! I’ve only attended 1 auction before and yours by far was very organized. We received positive feedback about the organization and display of items. The items offered were plenty and varied to all tastes. You made it appear seamless which was fantastic. Overall, I thought it was great and I appreciate all your efforts. It was a pleasure working with you and I look forward to working with you next year!” — Joyce. We are pleased to offer you an online charity auction in support of “The Alumni”, NHL Alumni Players. The online charity auction will be closing this Monday, October 2nd, 2017 at 9:00pm EST. The NHL Alumni Association is a registered charitable organization in Canada and the U.S. that serves as a passionate advocate for greater quality of life benefits for all former NHL players. The Association eagerly pursues greater benefits and the implementation of programmatic services devoted to enhancing the lives of retired NHL players and their families. The NHLA serves its retired player members and their families through the NHL Alumni Association and supports youth and community charities through various charitable initiatives. Since our inception in 1999 the NHL Alumni has made significant impact on both the retired player community as well as children’s charities. We have chapters in almost every NHL city and are home to the largest membership association for retired professional hockey players. With two offices and a growing membership base we truly are Hockey’s Greatest Family. New items arrive daily, please check back for additions. Do you have something interesting to sell? Send us an email at info@auctionnetwork.ca. Please visitwww.auctionnetwork.ca for more information about this sale and future Auction Network live online auction sales. We look forward to seeing you online or in-person.